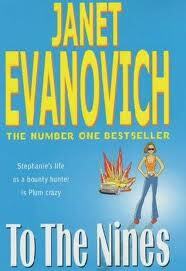 So the story is about Stephanie Plum’s ex-husband’s disappearance. Dickie Orr, an attorney, mysteriously disappears that too soon after she has attacked him in his office. So evidently, she becomes the prime suspect. There’s more tension because Dickie has left behind an estate worth $40 million and of course many people are after it and hence on Stephanie’s trail. The prime one being Joyce, Dickie’s girlfriend and Stephanie’s nemesis. Then there are Dickie’s (illegal) former partners who wouldn’t hesitate a bit to apply a flamethrower to anyone getting in their way. So while Stephanie is still trying to assort her FTAs and Joe under cover, it’s Ranger’s task to keep her protected at all times. The whole drama of finding Dickie brings in the entertainment bit in the book. 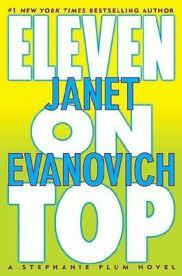 Lots of laughter, lots of funny situations – who really cares for the story then eh?! 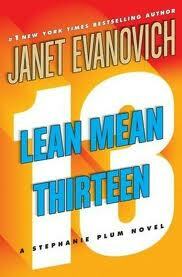 Maybe this is what Janet thought while penning Lean Mean Thirteen. Stephanie still unable to decide between Joe Morelli and Ranger; Lula still in her weird best; quirky Grandma Mazur bringing in craziness to the whole plot; Stephanie destroying car(s); etc. No real character development here, but quite a few hilarious intances that actually get you laughing out loud!